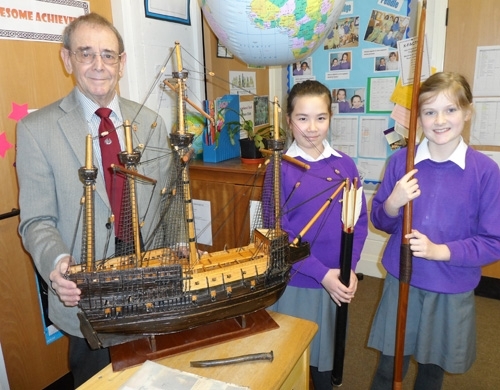 King Henry’s warship, The Mary Rose, was the subject of fascination and surprise when Mr Eatough from the Mary Rose Trust, visited Beardwood Bank recently. The lives of the crew members and living conditions aboard ship intrigued the Year 5 girls, who asked many searching questions and examined artefacts which included pieces of 500 year old rigging and ships timbers! They decided that a job in the Tudor navy would not have been their career choice!